Cornet ED75 EMF meter review – in an ideal world you would have one EMF meter that could “do everything”. 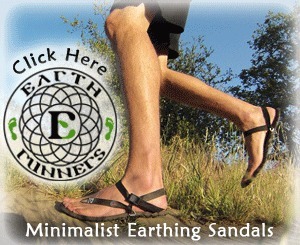 It would be pocket sized, not too expensive and easy to use. 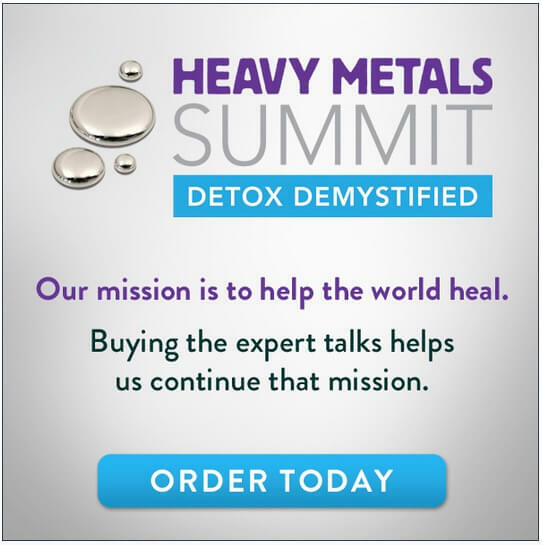 Unfortunately, whether its EMF meters or anything else as soon as you start to look at the nitty gritty, you realize that the ideal world doesn’t exist. I have just tested the Cornet ED75 EMF meter. 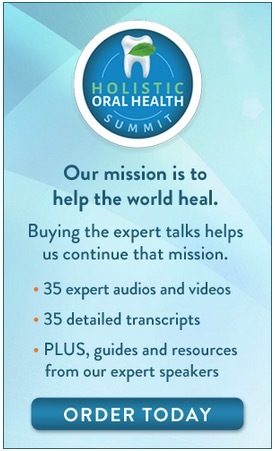 It doesn’t do “everything” but for the money, it does quite a lot…. What Are The Technical Specifications of The Cornet ED75 EMF Meter? Dual operation mode: RF power meter mode and LF Gauss meter mode. 50Hz to 10KHz (Gauss meter). Super Wide dynamic range 60dB (RF meter). High sensitivity –55dBm to 0 dBm (25mV/m to 14.8V/m) (RF meter), 1mG – 500mG (Gauss meter). Peak power density measurement 1.5uW/m2 to 0.58W/m2. LCD Histogram and bar display to display power density level. Analog RF(AM,FM) and Digital burst RF(GSM,TDMA,CDMA,DECT, ZigBee, Bluetooth, UWB, WiFi, WiMAX 2.4GHz, 3.6GHz, 5.8GHz). Max and Hold function, mW/m2, V/m, dBm, mG, uT. Small, compact handheld design, 69mmX110mm. Mmm this sounds all well and good, but what does all this mean in plain English? 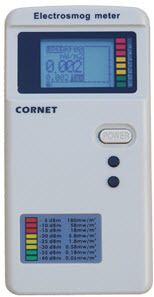 The Cornet ED75 can measure RF radiation and magnetic field radiation. Having a meter that is capable of measuring EMFs at different frequencies is no new invention. The Trifield TF2, for instance, which has been around for a good for few years, can measure AC magnetic fields, AC electric fields and radio frequency (RF) radiation. True, but the Trifield has its limitations in so far as RF radiation measurement goes. If you want to check your microwave for leaks or you are wondering what levels of RF radiation your cordless phone is throwing out the Trifield can do this kind of testing admirably. But if you are wanting to check the RF levels from a nearby cell phone tower or your neighbors WiFi the Trifield is soon…challenged. Is The Cornet ED75 A Better Meter Than The Trifield 100XE? then yes the Cornet ED 75 is a better choice than the Trifield 100XE. Its true you can measure radiation from lots of different sources (magnetic, electric and RF) with the Trifield but for measuring RF radiation the Cornet ED75 is a lot more accurate. What About Magnetic Field Radiation? The Cornet ED75 EMF meter will measure low frequency (LF) magnetic field radiation. As the spec says it can measure magnetic fields between 1mG and 500mG. Sounds great doesn’t it? Well it is pretty good but for measuring magnetic field radiation but its not nearly as accurate as the Trifield. The Trifield even with its two magnetic field settings measures radiation over a narrower range than the Cornet, only 0.2-100 mG as opposed to 1mG – 500mG with the Cornet . But don’t be deceived by this. Being able to take readings between 100 and 500 mG sounds good on paper but in terms of personal EMF protection it is likely to serve little purpose. 100mG is already a very high exposure level, generally long term exposures of 2 to 3 mG would be sufficient cause for concern, let alone 100 or 500mG. Being able to measure levels as low as 0.2mG, as the Trifield can, is much more useful. As far as it being a single axis meter, in the measurement of magnetic fields this means you have to orient it in different directions to get a true magnetic field reading in a given location. There is no denying, the Trifield is much easier to operate in this respect. But for measuring RF radiation a single axis meter is not necessarily a disadvantage. By turning the meter in different directions it can allow you to locate the source of the radiation. On Balance is the Cornet ED75 A Good meter? – it can measure RF radiation in volts per meter. Obtaining readings in M/w² is fine for certain uses but if you are interested in getting accurate and meaningful readings of low level non-thermic RF radiation (which is the reason most people buy an RF meter) V/m wins hands down. 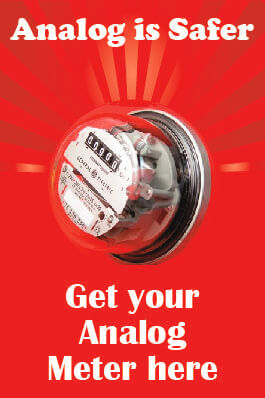 Why Would I Not Buy The Cornet ED75 EMF Meter? If you already bought the Trifield 100XE and the Cornet ED85EX (or the Acoustimeter) then sit tight this meter can offer you nothing that you haven’t already got. But if this is your first foray into EMF measurement and you are looking for one meter that can “do everything”, this is about as good as gets at the moment. Where Can I Buy The Cornet ED75 EMF Meter? Update April 2016: the Cornet ED75 is no longer in production and has been replaced by the Cornet ED88T model. The ED88T offers better functionality than the ED75 for both RF readings and magnetic field readings. It also measures electric fields For my full review of the Cornet ED88T click here. Great Balanced details for and against purchasing the meter. Great help to those people who may be thinking of upgrading /purchasing a new meter, or in fact may already have a Trifield meter. I know the electricsmog meter has a table on the front of it but it would be nice to have that table readings shown in the video. Meaning of different readings etc would help to show what the user is looking for to be safe in their home and how do you total exposure up in the home over time. Thanks Lloyd – Extremely helpful videos well done. I do have this but I do NOT pretend to know what it says. I just look for areas that are always blinking in the red and try to resolve it down to green. Does that work? Thanks for the GREAT information here. Exactly. Its not the values of the readings themselves that are important. 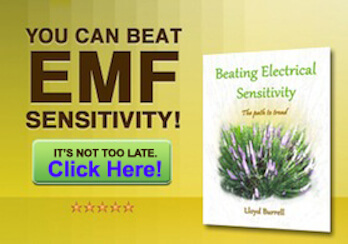 If you ask 10 EMF experts they will give you 10 different answers as to what a safe EMF reading is. 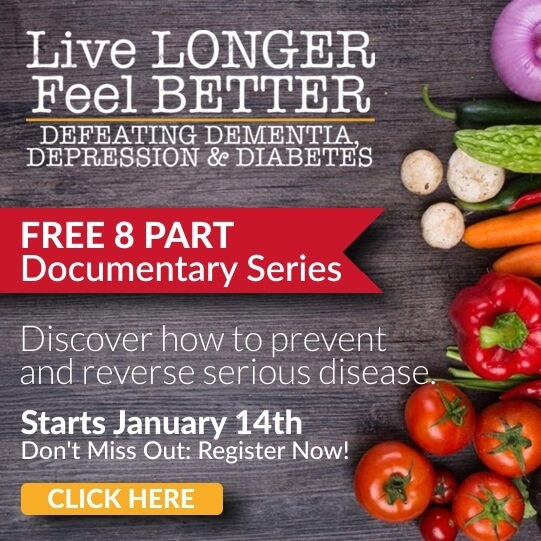 Instead ask yourself, what are my symptoms? How can my meter/s help me to improve my symptoms by identifying hotspots? – which you can than work on reducing/eliminating. Wi-Fi Router: Cornet is showing readings around -42dBm (where some of the children sit at desks) to -32 dBm (around 1.5 metres from a Wi-Fi – not being used/standby mode on). When using the above reading amounts, does this mean in these circumstances these Wi-Fi routers are giving overall higher EMR levels than for these particular mobile towers (many times so if you take readings when inside) ?? You have hit the nail on the head; EMF exposures from internal sources like WiFi (electrical wiring and electrical appliances) are often higher than from external sources like cell towers, radar, TV masts etc. But you only come to realize this when you have a meter which can give you this information. I advise taking readings in V/m or uW/m2 (V/m is the most suitable). 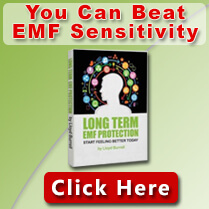 dBm is not well suited to measuring EMFs at low levels. See this article for clarification on measurement units https://electricsense.com/3772/how-to-understand-the-different-measurement-units-that-are-used-to-measure-emfs/ Also, if you watch the videos on this page they should help you operating the meter. I do not have wiFi any more – nor is there HIGH RED readings on the Cornet ED85 (I love that its made in USA!) I am now “wired.” Long gray wire coming from router. Must I contact my isp of these changes to stop the wireless signal. Sorry, this goes WAY beyond my comprehension of computers. I hired a guy to wire the thing for me. What I am so overjoyed about, is the lack of constant RED blinkings when just standing by my back door! All the wifi equipment was located right below the back door. No more. I have NO CABLE tv. I will check to see if I am still getting the wireless signal – for I no longer require it. I can carry my laptop up the stairs to many rooms, even out on the patio, as long as I bring the grey wire!lol. If your Cornet meter is not detecting a signal from your router, you do not need to contact the ISP. You have made some significant changes to your environment, listen to your body, it will let you know if you need to make some more. Don’t worry about things you can’t change – aka the smart water meter. There are solutions for shielding your windows from RF radiation. Compare the performance (the effectiveness) with the transparency, (high protection and high transparency = high price), nets and curtains are another alternative, see LessEMF. Good to hear you are making progress. Thank you Lloyd for the information. I am not detecting anything of concern in the house any longer YAY! Does the ED75 also measure computer and tv screen radiation?